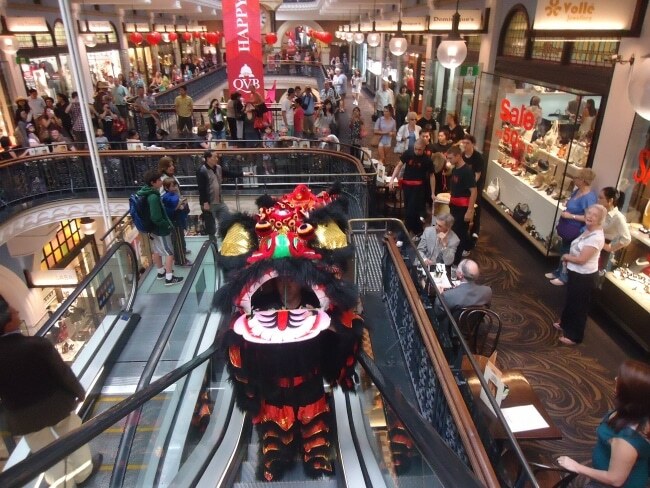 A lion dance can be great for any type of business, helping to establish the brand, providing entertainment for office parties or making a business opening memorable. In our 20+ year history in Sydney, we’ve performed for a very large number of businesses. This has included pubs, bars, nightclubs, newspapers, temples, printing companies, telecommunication companies, banks/financial companies, RSL clubs, hardware chains, gala dinners, television shows, cultural festivals and many more! All of this can be tailored to your individual needs — for more information please make an enquiry.